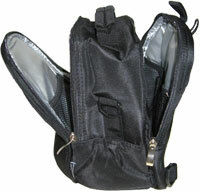 The Mom's Precious Cooler Bag (Sling/Back pack convertible) is used to store, cool and transport breast milk. Can also be turned into a handy mummy bag during short trips out with baby! This bag also offers additional room to hold breast pump (will fit the Medela Swing, Medela Harmony, Mini Electric, Medela Manual, Avent Isis manual pump, Avent Isis Uno and Playtex Manual Breastpump). This is a reasonably discreet way to carry all your expressing equipment. BONUS FEATURE: 4 ways to carry this bag - hand carry, sling, backpack or hook it up to your stroller or diaper bag! Set is worth RM 152.00. SAVE up to15% when you buy this set. Truly a value buy!! Mom's Precious Reusable Ice Packs are specially designed to keep your precious breast milk chilled at an ideal temperature for longer periods! This precious lil' helper is unlike any other standard ice packs. 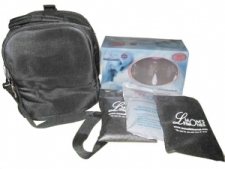 Be rest assured that this gel pack has been designed and tested to suit the purpose of breast milk storage.